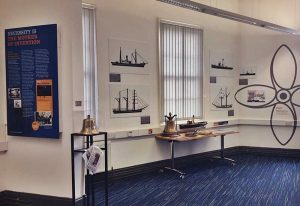 In the summer of 2016, the Heritage Centre launched a new permanent exhibition exploring four important aspects of the town’s history: Harvey’s Foundry; Shipping; Shops; J & F Pool. The exhibition was funded through the Heritage Lottery Fund’s ‘Heritage Enterprise’ scheme, along with a wider Activity Plan being delivered as part of Phase 3 of a regeneration project led by Harvey’s Foundry Trust. 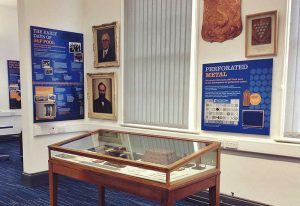 The foundry display explores the history of the company, the world-famous Cornish Beam Engine and the technical sand-casting process. 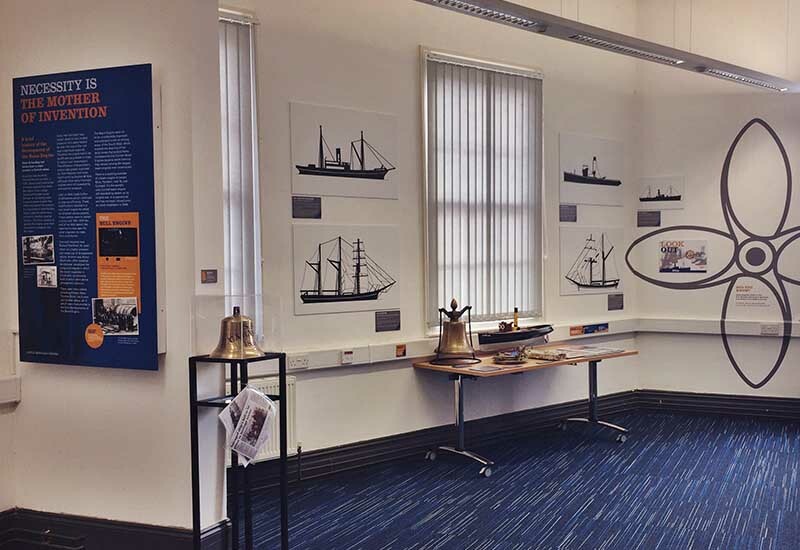 Harvey’s lesser known accomplishments have been highlighted in a second display relating to the Harvey Steamship Company. 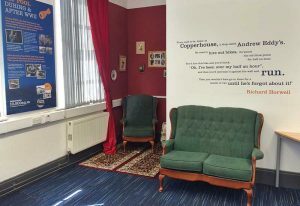 The ‘Shops’ section was inspired by the 2010 discovery, in the attic of a Hayle Estate Agent, of a desk complete with the stump of a candle and two bill spikes stacked with letters and invoices, which had been seemingly untouched for nearing a hundred years. This was the desk of General Merchant Charles Knee. This has been recreated in the exhibition and has given us the opportunity to look more broadly at shops in the town at that time, using a 1910 directory. The fourth display looks at long-standing Hayle engineering firm J & F Pool. 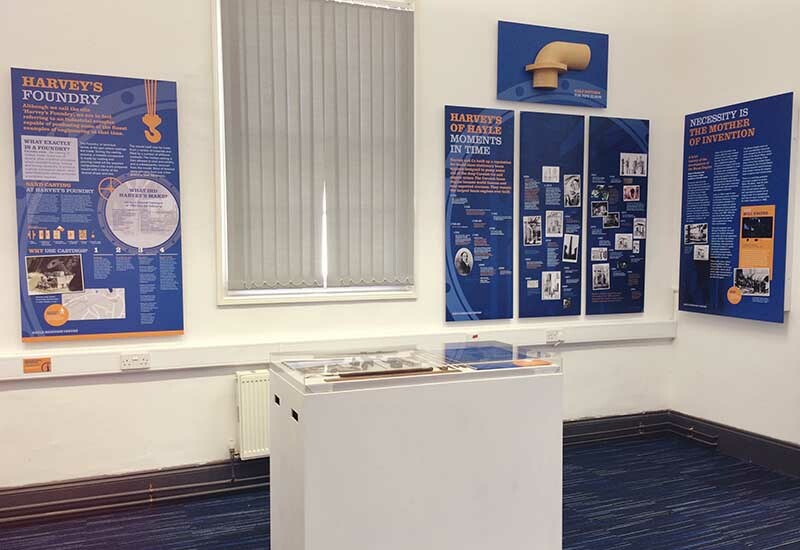 A selection of recordings from our oral history collection can be also heard in the gallery.